Laser dentistry is one of the most exciting advances in dental technology. At Dr. Buchmanns office, we think it’s important to bring you the latest and most precise dental procedures in the industry. 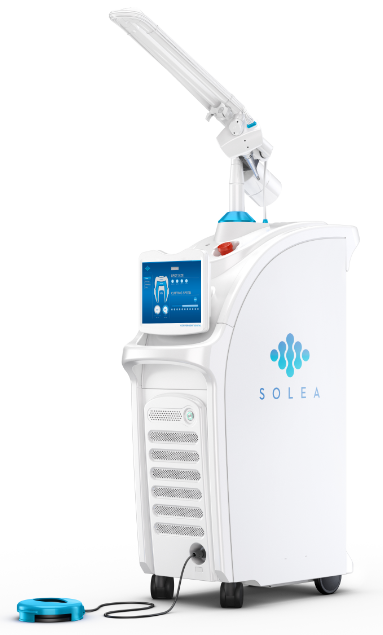 Using the a CO2 laser, we offer the ultimate in soft tissue treatments. Lasers have been proven to be less painful than the traditional gum surgery. Lasers also ensure there is no cutting or pain, bleeding or sutures necessary. Lasers are also more precise than a traditional scalpel, and they offer the added benefit of sterilizing surface tissues when used to create gum flaps. Laser Periodontal (Gum) Therapy is an amazing breakthrough in periodontal treatments. If you have been told you need scalpel and suture gum surgery, Dr. Buchmann offers an alternative. If you're like 100 million other Americans, you could be one of 50% of Americans who have periodontal disease, the major cause of tooth loss in adults.